Pinterest is the fastest growing social media site in history and the third-largest socia media network after Facebook and Twitter. Over 100 million people actively use Pinterest, with another 76 million at least owning an account. 85% of Pinterest’s users are female, and the latest studies indicate more than 40% of women on the Internet are using Pinterest, with the average user spending about an hour everyday surfing the site. With that much popularity, it makes sense for businesses to get involved in the site. Leland’s book offers a comprehensive, easy-to-use guide to hitting the road running and quickly making Pinterest into a valuable source of prospects, promotion and profits. Here are her top tactics for businesses to achieve maximum performance on Pinterest. Promote new products or services? Enhance customer understanding and enthusiasm? Depending on your strategy, you will want to pick the images that best support your objective. 20 percent about your brand — including products, services, sales items, profiles, specials and contests. Stuffing your Pinterest boards with products and sales might be your instinctive plan, but customers will become desensitized to them. 3. Make Your Website Pin Friendly: Let your customers market for you. Install the Pin It Button on your website and give every page and blog post a featured image that can be pinned automatically. In addition, put a social media “Follow me on Pinterest” button on your home page. 4. Share With, Engage and Promote Others: Build your brand by engaging with others through re-pinning, commenting on and liking other pins. You can also tag @ another pinner you are following in one of your pin descriptions. Engaging with others in these ways generates flow back to your Pinterest. 5. Establish Your Expertise: Craft keyword-rich pin and board titles and descriptions to boost your Google ranking and be found for your expertise. Use hashtags # to highlight key words and phrases your customers search for. In addition, emphasize pins with a focus on problems and solutions you specialize in. 6. 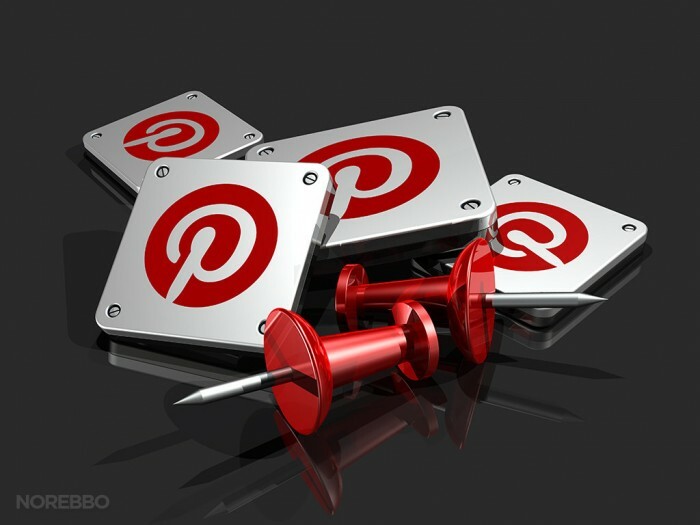 Integrate Pinterest with Your Other Social Media: Connect with your other social media by creating a Pinterest tab on Facebook, tweeting your pins, and embedding pins in your blog posts. 7. Organize Your Pinboard: Research shows that pins placed front and center receive the highest percentage of viewers and capture the most attention. So place your most important pins near the middle of the top or second row of the board. 8. Give Away Value-Added Information: According to Pinerly, pins that have a call to action see an 80 percent increase in engagement. Post pins that focus on free reports, e-books, videos and podcasts you offer. Be sure to add a live link to each of those pins’ descriptions. 9. Leverage the Power of Multimedia: Make your Pinboards more interactive by sharing videos, webinars, teleclasses, screencasts and podcasts. Good multimedia pins include: presentations, expert tutorials, product demos, behind-the-scenes tours and excerpts from live recorded interviews, courses and trainings. 10. Analyze Your Metrics: Sign up for access to Pinterest Web Analytics via your settings page and pay attention to which pins generate the greatest response and interest. The info will help you see which of your pinning efforts are paying off and shape your future strategy. Karen Leland is the author of Entrepreneur Magazine’s Ultimate Guide to Pinterest for Business. The book provides both beginning users and seasoned veterans with the ability to find their specific area of interest “at a glance.” It uses step-by-step how-tos, sidebars, examples, case studies, expert interviews and tip sheets to show how, from setup to strategy, to use Pinterest for promotional, branding and marketing objectives. Leland is the best-selling author of nine business books and the president of Sterling Marketing Group, where she works with entrepreneurs, small businesses and Fortune 500 companies around the globe on building stronger personal and business brands. She is also a regular speaker for business groups writes a regular branding and marketing column for Entrepreneur.com. You can purchase the book through Entrepreneur Bookstore.